Embrace Stretch Marks improves the appearance, color, and texture of stretch marks. It has two parts, a patented self-applicator and a silicone dressing. 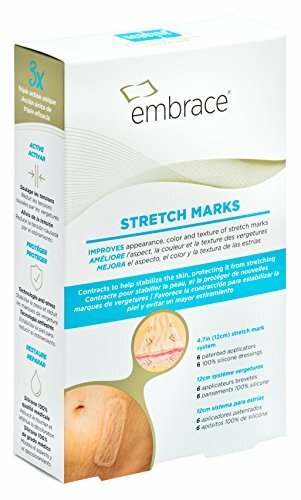 Once applied over the stretch mark area, Embrace combines tension relief to decrease the tension caused by stretching, Stress-Shield technology to reduce stretching, and 100% medical grade silicone to soften the appearance and discoloration. If you have any questions about this product by Embrace, contact us by completing and submitting the form below. If you are looking for a specif part number, please include it with your message. SheaMoisture Raw SheaCupuacu Mommy Stretch Mark Butter Cream | 6 oz.